Speakers with side-firing woofers polarize the opinion poll. For every opinion that purported its logic of being, intensely passionate disagreements have always ensued. Rockport Technologies of Maine is one of the purveyors of such design concept, and I came to this review project with a long-term exposure to another design that employs side-firing woofers, the Bӧsendorfer VC 7. But the $35,500-per-pair Rockport Mira Grand II, the subject of this review, features two 10-inch woofers on one side of the cabinet. 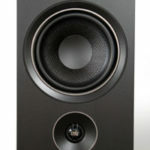 The Rockport Mira Grand II is the third most affordable full-range floorstander in the company’s current product range of seven floorstanding loudspeaker models, one monitor and one center-channel speaker. 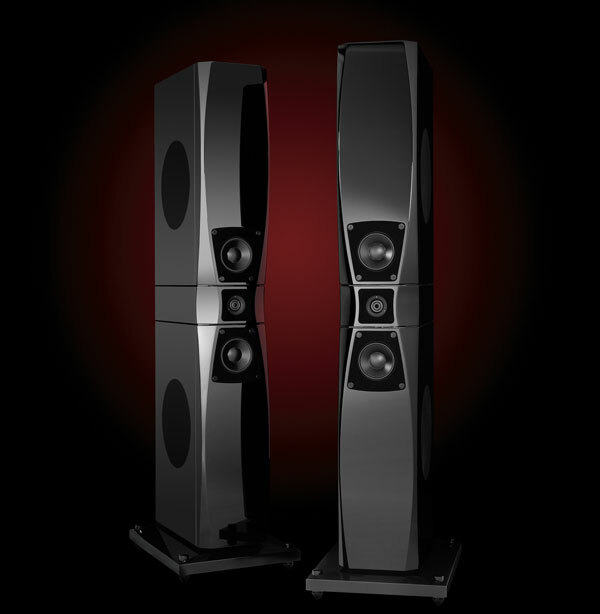 In spite of being the company’s third most affordable floorstander, the Mira Grand II is the only model other than the top-of-the-line, $180,000-per-pair Arrakis, that features the famous D’Appolito Midrange-Tweeter-Midrange Configuration, in addition to a tower profile complete with two side-firing woofers, each mounted near the top and bottom of the cabinet. However, unlike the Arrakis’ 4-way 7-driver configuration on each cabinet with five forward drivers, the MG II sports three forward drivers, namely one front-firing Ring Radiator flanked by two 5.25-inch Audiotechnology midrange drivers above and below it, in addition to the two side-firing 10-inch ultra-stiff paper woofers. Since 1991, Rockport Technologies has been manufacturing high-performance turntable systems and loudspeaker systems that seem to impress critics all over, and it has also been practicing a very flamboyant pricing policy that compares to those from very well-established competitors. Founder Andy Payor started his first audio business in 1984 called Payor Acoustics with the introduction of a “compact, satellite/woofer loudspeaker system”. Seven years later, the present company was founded to introduce a state-of-the-art turntable system dubbed the Sirius Phonograph before a series of loudspeakers ensued. In 2000, the introduction of the tremendous Rockport Hyperion loudspeaker remains a widely recognized product of the mark. RT manufactures its products in very limited quantities, and among its current product offering, the company’s highly regarded Sirius series of turntables remains available albeit in a made-to-order basis. Andy’s choice of the Scanspeak Ring Radiator as opposed to other designs was due to the need for the tweeter to be of high sensitivity with superior dynamics and extensions, so that it would match well to the composite midrange units when they are crossed over to the tweeter at high frequency. The D’Appolito Configuration applied on the MG II was also used in the Arrakis and the discontinued Hyperion, with the advantage of allowing for very high dynamic range from the bass registers all the way up through the upper midrange, amidst lower distortion because of the power sharing of the dual drivers. Still, Andy believes that the overall size of such driver configuration is problematic in many installations, so with the exceptions of two models in his product lineup, namely the Mira Grand II and Arrakis, all the other models his company offers are of point-source design in smaller enclosures. It is also interesting to note the other three point-source upper models to the MG II besides the flagship Arrakis, namely Ankaa, Aquila ($45,500/pair), Altair ($94,500/pair), are given the more ambitious cabinet construction and driver compliments, which Andy says add an unmatched level of bass precision and dynamic capability. To be specific, the Altair and Arrakis are of full composite construction, and the Aquila, Altair and Arrakis all use his Audiotechnology carbon fiber/sandwich composite cone woofers custom-designed to his specifications. 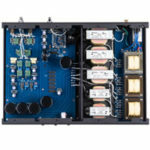 “The singular overall difference between Rockport Technologies loudspeakers and our competitors’ products is also the defining philosophy that makes our company stand out in the overwhelming sea of loudspeaker companies. That is simply that we are willing to spend the time, effort, and money to properly design and manufacture products that at any given price point will allow the listener the most pure and unadulterated view into the original recorded event as is possible. And, while other manufacturers make outrageous, yet totally unsubstantiated claims about their products, either in terms of the technology used in the manufacture, or how the use of a certain technology translates into the listening experience, we can actually demonstrate the superiority of our approach, both by measurement and listening. Also, high performance loudspeaker design is a multifaceted discipline where a number of critical interdependencies exist in the electrical, mechanical, and acoustic realms simultaneously, and hence must all be satisfied simultaneously to achieve an excellent, and by definition, balanced design. This is an elusive and daunting task that must be addressed with real solutions to real problems if authentic excellence is really the goal. Per Andy, the Mira Grand II continued the Hyperion’s finesse, with new composite carbon fiber driver technology and less expensive (MDF) cabinet constructions. That said, the 220-pound Mira Grand II features “a dual layer, fully constrained mode damped enclosure” with extensive internal bracing that renders the cabinet completely inert while keeping the cost relatively low. The higher models in the Rockport lineup feature composite material that are eight times costlier than the MDF in the MG II. Per Andy, the higher models not only are quieter between passages and less dynamically congested, they are more extended in the extreme bottom-end and are aesthetically acceptable to more audiophiles for the less intimidating height. The Rockport Mira Grand II came across as rather polite in the initial stage of this review. After almost two months of continuous listening, the MG II must have improved in all aspects of its presentation, or I was simply converted to Andy’s methods, because I thought it was sounding more and more like my reference, the Tannoy Churchill Wideband. The most foremost admirable aspect of the Rockport was that the height of the D’Appolito Configuration coincided amicably with my listening position. The Ring Radiator tweeter, together with the two flanking midrange’s, dispersed toward me on the same horizontal plane as my ears. The first advantage to such on-axis listening position was an immediacy that is often never experienced when your speaker’s tweeter is either too high, too low or firing upward at such angle that you’ll never be on-axis regardless how high you make yourself sit. There is simply no way anyone can find out about the on-axis performance of his particular loudspeakers if the tweeter fires at an impossible angle, or is designed at such height that no forward-tilting of the speaker will get you close enough to be on-axis. While from the Rockport brochure’s engineering renditions we can tell each model’s tweeter is at the same height more or less, thus guaranteeing a certain level of performance throughout the range, the Mira Grand II and the Arrakis are the only models with the D’Appolitto Configuration. I can tell you there is nothing like a properly executed D’Appoliito Configuration at ear level. Having the two midrange and one tweeter at the listening level gave me my first experience after the Tannoy Churchill Wideband of a sonically truthful on-axis presentation. 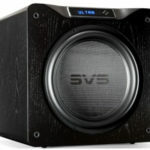 No competent designer is not aware of the objections of many industry veterans and audiophiles at speakers with side-firing drivers, most especially when those are big subwoofers. They don’t load the room in the same way as the traditional forward-firing ones. When I was reviewing the Bӧsendorfer’s, I came upon the optimal spot quite easily since the woofers on both sides of the cabinet were of small diameter and the speakers had to be toed-in almost completely, and the bulk of the bottom-end was generated by way of the Hornresonator Principle, so side-wall interaction was minimal. Andy, however, gave the MG II two 10-inch subwoofers, one near the top the other near the bottom, and in a rear-ported fashion. Corner interaction can be bountiful with two 10-inch ported woofers if one is not careful. During setup, Andy and I discussed placement options and we decided on swapping left and right speakers so the side-firing woofers were firing inward. As such, tonal definition of high-pitch and low-pitch instruments improved comprehensively, and the lower registers generated were precise and powerful. This arrangement of subwoofer thus constituted the next of the impressive suite of competency of Andy’s design. Unlike large 15-inch woofers in the Tannoy Churchill Wideband, or the active woofers in the Genesis VI, or even the active subwoofer G928 by Genesis, the Mira Grand II’s woofer system produced the first bottom-end renditions of instruments and soundstages that were at once enveloping and involving. Wavelengths of bass frequencies are so large that locations of bass drivers ought not create variance in listening impression; but the Rockport’s bottom-end was considerably fuller and more sonorous, and it occupied the listening space with more realistic sense of drive and substance. I wonder if it is not attributable to the top woofer pumping out concordant bass notes five feet above ground. The MG II’s ported design also produced the same level of control and finesse as some of the very expensive acoustic suspension type. It did not inundate its presentations with indiscriminant display of bass energy, and its bottom-end was solid and meticulous, providing a musical experience that was not marred by overpowering bass. This qualifies as a major achievement, for had the cabinet been more susceptible to resonance, or had the crossover network been more lossy, or even if the operating parameters of the woofers themselves been less exacting, the Mira Grand II’s bottom-end would’ve sounded just like many side-firing woofer design that we all dread: imprecise and unmusical. But the MG II’s reenactment of orchestra on stage was expansive in tone and exciting in dynamics. The lightness of the strings was contrasted most definitively by the authority of the trombones, double-basses and bass drum. When called for, such as the pipe organ, in the First Impression Music’s K2 HD edition of the Proprius CD Cantate Domino, the bottom-end was the most natural and reverberating I’ve heard in my system. The pitch rendition was definitive and spectacular, yielding a realism that convinced the brain as if the instrument was performed live in front of the listener. The sound was authoritative, and the experience was complete. Listening to music from this speaker was more involving than going to live concerts. On realism, in my experience, two-way designs usually have the easiest time in producing highly integrated spectrum and rendering tonally wholesome sound of instruments. Peter Qvortrup of Audio Note UK is vocal for his insistence on two-way speakers as his only speaker product offering due to the compromise in spectral integrity that he deems more drivers will ensue. So are many industry heavyweight designers. Then there is the Apogee Duetta Signature’s ribbon configuration, which produced startlingly transparency, although its dynamics was eclipsed categorically by dynamic two-ways, and the latter’s spectral coherency and speed yielded, in turn, to the Feastrex single-driver. The Rockport didn’t exhibit the speed of the Feastrex, a feat only the Klipschorn had approached. But for a multi-driver speaker with complex crossover network, there are certain measures one can take to remedy the issue. Certain amplifications can infuse the needed juice to send through the crossover network, and subjugating the drivers concurrently for fast reaction time. Tube amplifiers, such as the Red Rock Renaissance monoblocks, induced a three-dimensionality and tonal intensity from the midrange and up out of the Rockport; but the Pass Labs XA100.5 monoblocks’ higher damping factor exerted much better control of the Rockport drivers at the speaker’s 90dB/6Ω impedance. More importantly, I believe it was the Pass Labs’ high biased class A output, combined with the one hundred watts of power per channel, that melded the Midrange-Tweeter-Midrange (MTM) D’Appolito Configuration of the Rockport into an organic whole. As driven by the Pass Labs monoblocks, the Rockport produced Feastrex-like coherency from its triplet of front-drivers, even matching the output and dynamic scaling of the Tannoy’s 15-inch Dual-Concentric. This made all recording sound at their most surreal, hence musically satisfying. Of course, having reviewed the Feastrex and now hearing what the Pass Labs-driven Rockport drivers could do, I crave for more transients, transients and nothing but transients. The higher-power Pass Labs amplifications will thus have to be consulted to attain better transients from the Rockport. Nonetheless, after having listened to the Mira Grand II for months, I continued to be caught off guard by instruments from CDs that would jump at me the way live sounds around the household would. But the most powerful testimony to the Rockport’s true potential came from actual use of amplification of a grade that is meant for more exotic loudspeaker technologies, and the $90,000-per-pair Ypsilon SET 100 hybrid monoblock amplifiers provided that testament. The Mira Grand II already exhibited extraordinary ability in separating differing instrument tonalities and dimensionalities as driven by the more affordable Pass Labs, a prospect taken to the most exemplifying extent with the Ypsilon in a demonstration of resolving prowess that was also supremely controlled. The result was a complete riddance of the last shred of electronic haze from the sound of the Mira Grand II that all amplifications before the Ypsilon so variably demonstrated. Gone also was the fleetingly infinitesimal temperamental, distracting reactivity towards instruments with emphasis on a particular spread of the spectrum. 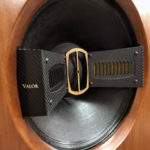 The Rockport might not be able to surpass the performance of its pricier sibling for their more sonically inert materials, superior driver technologies and cabinet construction methods, but with the help of the Ypsilon SET 100 monoblocks, I might have succeeded in pushing its performance envelope as far as anyone could. The fact that the Mira Grand II had no problem demonstrating the superiority of the Ypsilon made me realized that I had never encountered a speaker the performance of which would benefit proportionately with progressive amplification upgrade. Whereas in the past with the speakers I either reviewed or owned, I was feeling that I had exhausted all means to push a loudspeaker’s performance threshold when upgrades, including that of the amplification, ceased to be manifested through the speakers, the Rockport’s capacity in responding to progressive upgrade of amplifications emboldened my search for even higher grade of amplifiers, which is a story to be told at a different time. On a broader perspective, both the Ypsilon and Pass Labs unveiled the Rockport as the most sonically unassuming powerhouse I’ve experienced in a long time. For you would never have suspected its dynamic propensity if your musical preference were around chamber music, even though the Mira Grand II would still leave you breathless playing strictly strings. Most especially if you provide the proper accessorial support. The use of Isoclean’s suite of power products formed the last element in the system, as the performance envelope of the otherwise already excellent-sounding system was pushed even further by the incorporation of the $4,200 Isoclean Supreme Focus power cable feeding the company’s own 80A3 power distributor. The ambience of every recording became more audible, the forwardness of certain recording was completely remedied with a more natural perspective. Now that via the Rockports the recordings were sounding more detailed but not with the usual edginess, I know at the core of my senses that truer music had never been made in my system. To me, a true audiophile loudspeaker system bears the tasks of not producing anything that is not in the signal, and not exaggerating any aspect of the information that is there. This means I don’t want to hear extraneous sound due to cabinet resonance. The MG II showed me how colored other speakers in my house were, their cabinets resonated audibly as to have created extraneous information. There are loudspeakers with sonics that are objectionable to many of us and yet are providing years of satisfactory experiences to some of us; but that will largely depend on one’s lifelong experiences and the kind of exposure he/she has gone through. The Mira Grand II must not be a perfect speaker, and Andy will be the first one to tell you that. Not especially after I had experienced the $190,000 Acapella Triolon Excalibur on numerous occasions at the Aaudio Imports headquarters (now $205,000 in the MK II edition), and the $69,000 Feastrex Makoto extensively in my own system. But for the consummate suite of virtues it has attained, namely a highly resolving, rich-sounding D’Appolito Configuration that is set at ear level, a beautifully sculpted baffle that serves to control front baffle reflection, a seamlessly formed spectral behavior that is the most expansive and refined in a multi-driver design I’ve heard, a tonally almost organic and yet sonically powerful mid-bass to the extreme bottom-end, I have been recalled in listening sessions to instances in my youth of some parodies and melodies that continue to capture and haunt me the very first time I heard them, as if they had always been lurking in my sub consciousness until someone put them into musical notes and had them performed. So was the presentation of the MG II in its consummating spectral coherency and extension, in the extraordinary company of three-dimensionality and pristine tonality. Some speakers leave you with a newfound awareness that more is needed to attain perfection. The Rockport Technologies Mira Grand II left me with a need after each listening session to return for more. It is a good pair of speakers to own in one’s system building effort, because they are eminently flat across the spectrum, hence intrinsically responsive to colorations upstream. It reproduced the ambience of a recording masterfully, and portrayed the inherent tonality of instruments diligently. I don’t care if Andy’s higher model is more resolving and musical, I just want to bear-hug the tall and slender and glossy MG II for as long as I can. The reason audiophiles like me are not immediately drawn to the sound of multi-driver designs is because our ears are tuned to the very point-source dispersive pattern of single-driver speakers; and that is a world very easy to get used to, one that makes you feel warm and fuzzy all over. To write about a single-driver speaker, such as the Feastrex Makoto and the Affirm Audio Immersion, is an unnatural act against the reviewer’s human nature, one that resists getting analytical, much less onto paper. All that goes around in the air is the “ah..” and “ahhhh”. The Rockport Mira Grand II broke that spell. I still had to spend considerable conflicting periods dealing with my prejudices and preference for the single-driver sonics; but once the transition was now over, I was able to migrate comfortably between the Rockport and the Feastrex, not because they sound similar, but because the Rockport, despite its more complicated multi-driver complex, is essentially a monitor, augmented by two large side-firing woofers. I never heard a transparent or neutral-sounding speaker; but the Rockport has not yet exhibited a personality trait that I can describe. There were times when the Rockport demonstrated a tube-like warmth even when driven by the Pass Labs XA100.5 monoblocks, but then the character changed with different recordings. Then, I had a heartbreaking moment when I put a sub-$7k amplifier in front of it; the sound was dreadful, the opulence blackened, the dynamics stifled and the tonalities diluted. I never wanted to hear the Rockport like that again. It is a sin to reduce the Rockport with inferior products upstream. There are two kinds of people that can never very well leave things alone: engineers and the reviewers they send their products to. And here is my nick picking: After the listening session is done, I sometimes miss the degree of rawness and wildness of the Klipschorn that the Rockport was completely devoid of. Whether this is a fair criticism is in the eye of the beholder, and I’ll tell you one more thing: the Rockport has demonstrated its finesse and prowess to such level, that I felt assured completely in its method and presentation of the truthfulness of music it presented. I had always found the presentation of other speakers before it alluring in many regards and yet not 100% truthful in one way or the other. But there were such moments in listening to the music via the Rockport, that I could live inside the presentation where the decibel was just right and the energy conveyed made me warm and fuzzy all over, and then increasing the volume just one step higher would charge things up and make my blood boil. The Rockport is the first one that I can listen to completely with my guards down.